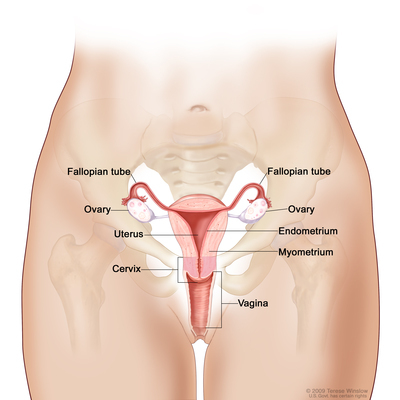 Biopsy: If abnormal cells are found in a Pap test, the doctor may do a biopsy. A sample of tissue is cut from the cervix and viewed under a microscope by a pathologist to check for signs of cancer. A biopsy that removes only a small amount of tissue is usually done in the doctor’s office. 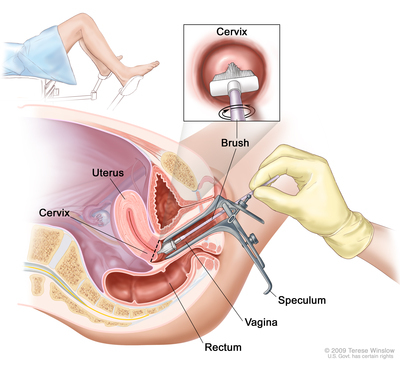 A woman may need to go to a hospital for a cervical cone biopsy (removal of a larger, cone-shaped sample of cervical tissue).